Devastated friends have paid tribute to the young tradie crushed to death by collapsed scafffolding at a construction site. Young apprentice Christopher Cassaniti died on Monday after several storeys of concrete fell on top of the 18-year-old at a semi-completed block of flats in Macquarie Park, in Sydney's north-west, just after 12.30pm. His body was found in the rubble just before 3pm, as his shattered parents arrived at the scene. 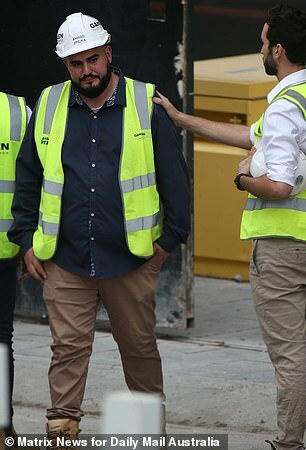 Mr Cassaniti appears to have started his first ever job at the site before January and was pictured in videos celebrating his recent milestone birthday on March 27. 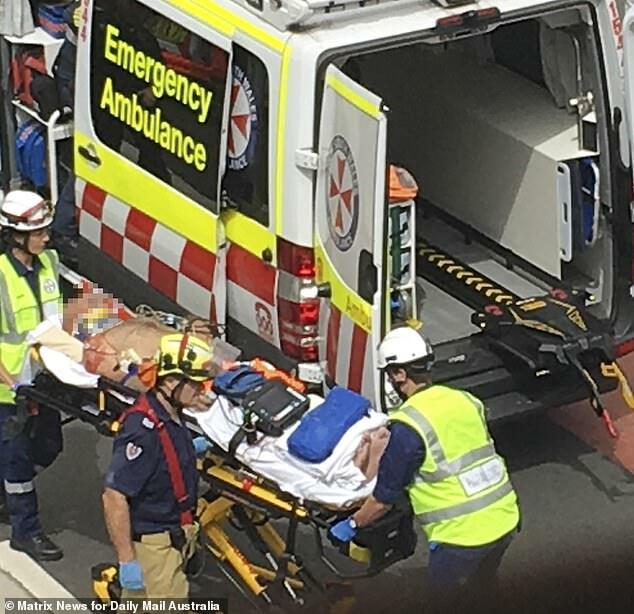 Another man was pulled free from the concrete just after 1pm and rushed to hospital in a critical condition. As the scaffolding collapsed, two men standing on one platform were forced to jump for their lives onto the balconies of the building. Workers remained at the site after Christopher Cassanti's body had been taken away in a white van late Monday afternon. 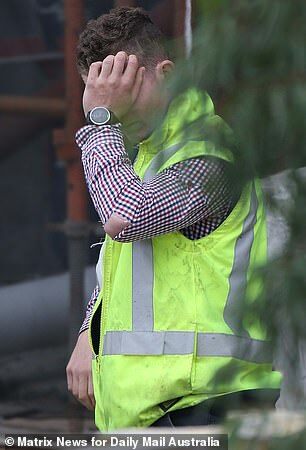 Workers slowly trickled out, with one telling Daily Mail Australia he was 'too shattered' to speak. The family of the man left critically injured arrived at the building site to speak with workers, and appeared angry and distressed by the situation. Tributes have poured in for the 18-year-old, whose mother reportedly runs a food truck near the construction site. Video footage shows his heartbroken mother and father embracing each other at the scene after hearing the devastating news. 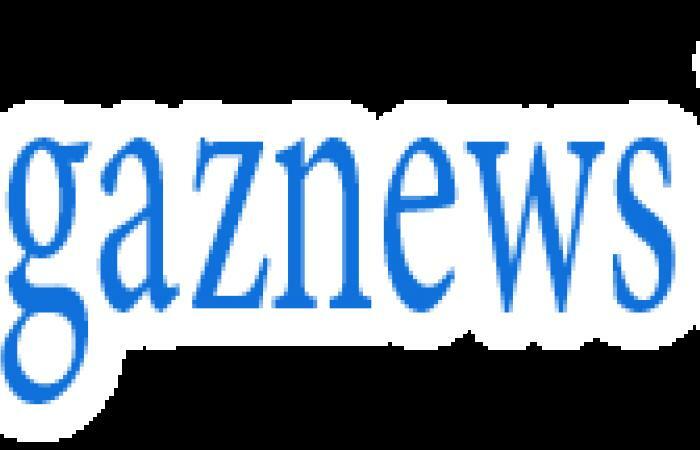 'As you'd expect, they're devastated to lose their 18-year-old son,' Mr Greenfield told news.com.au. 'Today I am crying because I have lost a person who occupied a very special place in my heart,' one friend posted on Facebook. 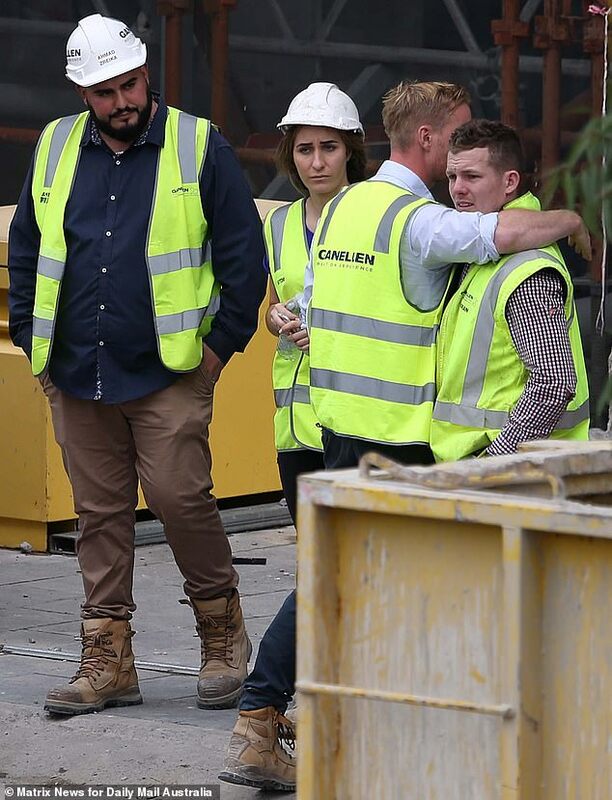 Police reportedly had to use pepper spray and a baton on distraught workers who desperately tried to free their dying colleague from under the collapsed scaffolding. One officer pulled capsicum spray from their belt holster, holding it 'at the ready' while another officer produced before senior officers calmed the scene, The Daily Telegraph. One worker told the publication that he and his co-workers worked to dig below the pile of rubble and free those trapped in the moments after the collapse. 'We all formed a big chain and started to pull the planks out … we are human beings, you know, we have to help each other,' the worker said. Others said that after hearing the enormous sound of the collapse, the work site 'just descended into chaos'.